highlight, was hailed a triumph by audiences and press alike and marked a new era for the orchestra. Building on this triumphant debut, the 2013 BBC Proms saw Søndergård and a reinvigorated BBC NOW win over the critics with their charismatic performance and formidable interpretations of 20th century repertoire. Stating his intentions, the new Principal Conductor was clear: ‘I can’t wait to discover Sibelius all over again with my new orchestra’. 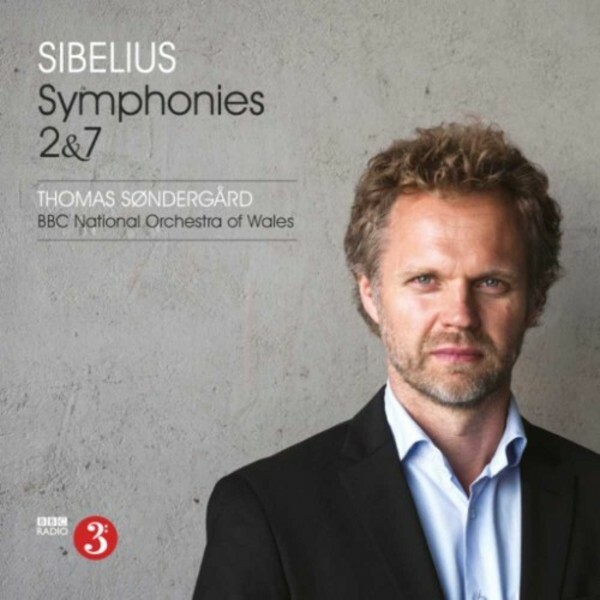 With their nationalist themes, Symphonies 2 & 7 are perfect repertoire for Søndergård and his orchestra to make their symphonic recording debut. The Second Symphony marked a major step in Sibelius’ development as a composer, and remains one of his most popular works. Symphony No.7 is notable for being a one-movement symphony and is completely original in form, subtle in its handling of tempi, individual in its treatment of key and wholly organic in growth, and is considered Sibelius’ most remarkable compositional achievement. Danish conductor Thomas Søndergård is Principal Conductor of BBC NOW and Principal Guest Conductor of Royal Scottish National Orchestra - a rare honour to hold titled positions with two major British orchestras.